I came across this recipe recently and was absolutely dying to try it. I had already made up my meal plan for the week but ended up shifting some things around just so I could add this to the menu. I love cauliflower mash. As someone who is a carb-o-holic cutting down on mashed potatoes or potatoes in general was difficult for me. Cauliflower mash does not taste exactly the same but it does taste fantastic and gives me the visual and texture I need to make up for what I miss. It definitely helps fill a void! I came across this recipe as a way to spice things up a bit and made it for dinner last night. OMG, it did not disappoint! The one thing I would note is when you steam your cauliflower, make sure it is soft enough to mash with a fork or potato masher. Mine wasn't and I ended up throwing it in the blender for a little bit to break it up some more, which worked great! 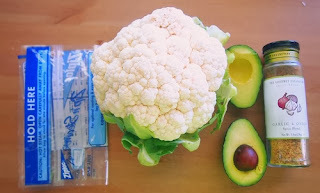 -Chop up cauliflower head and place it into the steamer bag. You may have to do this twice. My cauliflower didn’t fit, but I reused the bag for the left over cauliflower. -Add the steamed cauliflower to a mixing bowl. 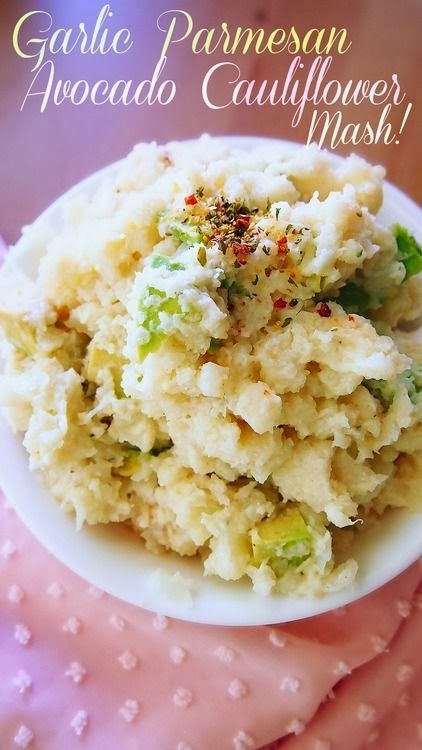 -Mash the steamed cauliflower with a fork. You can use a food processor or blender, but this is less messy. -Add Greek yogurt and seasoning to the cauliflower and mix. The Greek yogurt makes the cauliflower mash so creamy and fluffy. -Dice avocado and mix it into the mash. 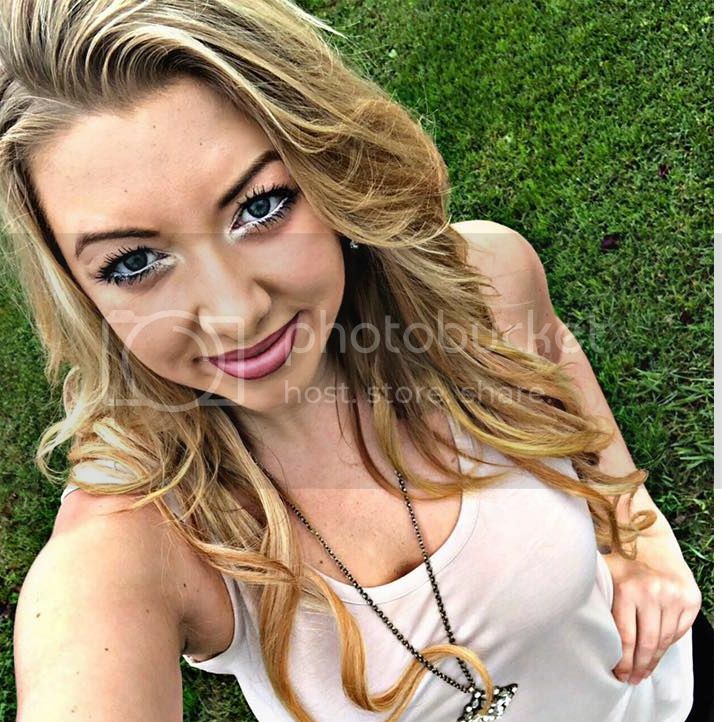 -I like to dice it while it’s in the skin and scoop it out with a spoon. Dicing it on the counter is messy and the avocados mash and bruise. -Add Parmesan and mix in lightly. If you are serving this on individual plates, topping each serving with Parmesan on top is delicious too! -I stored the leftovers in the fridge and placed the avocado pit in the bowl with the mash. The pit helps the avocado stay green and fresh. Recipe makes 8 Servings, Serving Size 3/4 Cup.